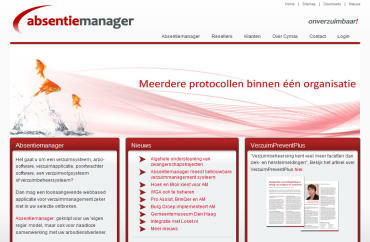 The absentiemanager helps the fulfillment of the complex absence management in the Netherlands. This solution is currently used for 10000's of employees. NewLink built this web application from the ground up and this solution is based on Intersystems Cache technology. This project allows integration within almost any environment and is able to connect with any relevant organization or service in the area of absence management in the Netherlands. Fullfill the conditions of "poortwachter"